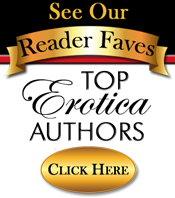 5 Stars – Readers’ Favorite – “J.D. Burrows presents the facts in a beautiful love story that was impossible to put down.” – Rachel Hayward hoped to have a quiet thirtieth birthday alone. Instead, fate had different plans. Late for work, she takes her eyes off the road and rear-ends the car in front of her. The brief colliding encounter begins a relationship between two strangers who are struggling to overcome their past. As the romance deepens and intimacy results, their desires conflict. Ian is tenderhearted and respectful, but Rachel wants aggressiveness from a man. The clash of physical needs threatens to tear them apart. As a result, Rachel is faced with the decision to leave Ian or finally confront the painful secret of her childhood.